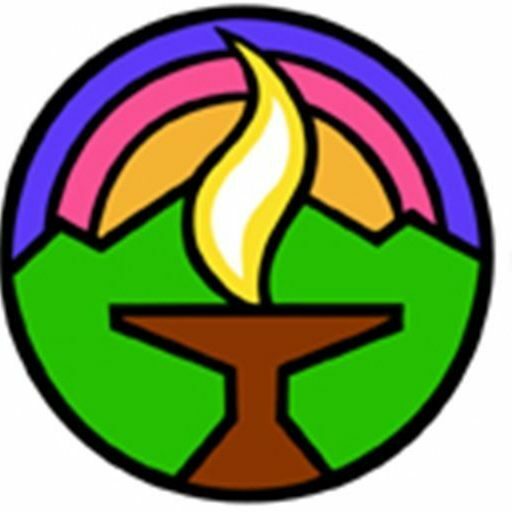 A history of the beginnings of Mission Peak Unitarian Universalist Congregation in the Fremont, California area, as told by Barbara Meyers, a founding member, May 2004. Updated November 2010. There had been a Unitarian Fellowship in Fremont that disbanded in the late 1960’s, so I am told. But by the time I discovered the Unitarian Universalist faith, it was long gone, so I traveled to Hayward every Sunday to attend the nearest Unitarian-Universalist services I felt that the Unitarian-Universalist movement had such an important message to the world that when I heard that there was a possibility that a new congregation would be forming in Fremont, I embraced the idea of helping found it because it simply had to be done and I was in a position to help. Mission Peak Unitarian Universalist congregation started in the Spring of 1992 when Joel Miller, a newly ordained UU minister who lived in Fremont but who hadn’t yet been called to a church, attended an organized play group with his 2-year-old son Eric at a Fremont park. There he happened to meet Tracy Barnett and several other mothers with children in the play group. Tracy had been brought up going to a Unitarian Sunday school class, and when the subject of religion came up, she, Joel and some other mothers decided to see whether it would be possible to organize a new UU church in Fremont. They contacted Bev Smrha, co-district executive in Berkeley for the Pacific Central District (PCD), the regional organization of the national Unitarian-Universalist Association. The first meeting was in Tracy Barnett’s living room with Tracy, Joel, and other participants and their families. Starting with this meeting, other roughly-monthly meetings took place until September 1992. (One reason that our congregation had so many pre-school children of the same age is due to our play-group origins.) When my husband Tom and I started coming in August 1992, the other adult participants were Steve and Kathy Wallcave, Denise and Nelson Whitney, Linda Sheehan and Roger Perkins, Tracy and Ron Barnett, Ray and Barbara Crain, Joel Miller and Wendy Bachuber, Jeanette Berman, Ursel Bloxsom, Jim Sese, Suanne Stone, Roxanne White, and Drew and Janet Wilson. In September 1992, we started holding worship services on Sunday evenings twice a month. Services were held in the Centerville Community Center near Washington High School in Fremont. Because services were in the evenings, some of us continued to attend the Hayward church on Sunday mornings. In hindsight, I believe that it was a mistake to have worship services so early in our development; it drained scarce energy from important work that needed to go on to create the church, such as community outreach, committee organization, setting of goals, etc. Shortly after we formed our first mission statement, Joel received a calling to become extension minister at a new UU church near Denver, Colorado. We were sad to see him go, but we were happy for him and his new opportunity. It was at this point that our energy was at its lowest. Worship services attendance was about 10, with a high of about 20 and a low of 2. The turning-point was in May 1993, when several of us attended a UUA-sponsored New Congregation Training session in Boston. We met others who were also trying to start churches. And we came home with the following: (1) We regained confidence that this would work. (2) We created a timeline with specific tasks and goals for forming the church. In our case, the timeline stressed community outreach to enlarge our membership, and community-building activities to create an extended-family feeling. (3) We formed links with three other covenanting UU congregations (Hayward, Palo Alto, and San Jose) to give us advice, support, and funding. And lastly, (4) we stopped having worship services for the time being. Also pivotal was the hiring of Ben Meyers (no relation to my husband Tom or me). Recommended by Bev Smrha as a quarter-time consultant, Ben was in his last year at Starr King School for the Ministry (a UU seminary in Berkeley). Ben had been recommended by Bev Smrha. Our first publicly advertised meeting was in September 1993 at the Tri-Cities Children’s Center. We modeled this meeting after one described to us at our New Congregation training. We did a lot of planning and publicity prior to the meeting to make it a great success. We shared our growth timeline, and in fact have kept pretty close to that time-line as the church has formed. About 60 people attended, many of whom signed up to be on the committees we were forming. A large number of people joined us. Our first worship service led by Ben was on Thanksgiving 1993. The next service was on Christmas, and we began regular Sunday morning services in January 1994. May 1, 1994 was our Charter Sunday. About 50 people signed the membership book with much fanfare in front of a crowd of about 100 from our covenanting churches and the community at large. Shortly after this, we became an official member congregation of the Unitarian Universalist Association. We chose the name Mission Peak Unitarian Universalist Congregation because we wanted to stress we were serving all of the communities looked over by Mission Peak, and not just Fremont. We wanted to be called a “congregation” because many members were Jews and didn’t feel comfortable being members of a “church”. Our acceptance into the UU extension program in mid-1995 meant we could afford to hire Ben as a full-time minister starting July 1995. In 1997, Julia Kocs, who was a Unitarian minister from Transylvania came to our congregation for a year. She brought a strong pastoral presence to the congregation and to the community at large with her volunteer work at a local homeless shelter. Throughout our history, we demonstrated an important commitment to our children by hiring a part time Director of Religious Education (DRE). Our first DRE was Kate Walker, a seminarian at Starr King School for the Ministry. After 3 years, she was followed by Jenny Johnston, the wife of a seminarian, and then a year later by Sally White, another seminarian with a strong background in Religious Education in a number of church settings. Sally was followed in turn by the Rev. Lynn Ungar, by Carolyn Steinhaus, and then by Sally Ahnger, our present DRE. The years 1998-1999 were difficult for us. Ben announced that he and his wife Patti were getting divorced and that Patti was leaving the church. Both the church members and Ben had a difficult time adjusting to this situation. Ben resigned in May of 1999, an event that was painful for all of us. We hired an interim minister, Howard Dana, who had just graduated from Starr King School for the Ministry, and began a search for a permanent minister. Howard kept a steady hand on the helm, at one point offering a ceremony of healing, so we could move beyond our difficult time. Our search ended successfully when we voted unanimously to call the Rev. Dr. Chris Schriner, who had been minister at Laguna Beach in southern California to become our minister from September 2000 through August 2008. Chris Schriner’s ministry stabilized the structure of our congregation; we developed adult religious education programs to add to our children’s and youth programs, created a choir called “The Peak Performers.” a lay Pastoral Associates program, participated in the UUA’s “Building the World We Dream About” program for racial and ethnic diversity, and yearly all-church spiritual retreats. We went through the process of becoming a Welcoming Congregation, educating our congregation on how to be friendly towards members of the gay, lesbian and transgender communities, and received an award from PFLAG for this work. In 2005, Barbara Meyers, who graduated from Starr King School for the Ministry in 2004, was endorsed by the congregation as our first Community Minister, that is, a minister whose activities are focused in the community rather than only the congregation. Her ministry focuses on mental health issues, and she works part time at a local mental health center. She has developed a mental health curriculum and a local access TV program “Mental Health Matters” that creates a new show each month. A major change came when our landlord, now called Kidango, decided that they needed the room we were renting for worship for other purposes. After an extensive search, a member of the First United Methodist Church of Fremont heard that we were searching for a new site and was very impressed with us, and knew that they had a space that we might rent on their campus. We moved in the summer of 2007, and soon we were able to also rent an office next to our worship space – our first full-time home! When in 2008 Chris announced that he would retire, the congregation unanimously voted to grant him emeritus status. When Chris left, we had 114 members. Our interim minister Joy Atkinson’s time with us was a time of trying new things, discovering who we were and what we wanted to be, and setting the stage for a new minister. A search committee was elected and worked very hard to present our congregation to prospective candidates and to find someone who would be a good match. They chose Jeremy Nickel, a recent graduate from Pacific School of Religion, a young man for whom this would be his first church. The congregation met Jeremy and to a person were most impressed with his enthusiasm, presence and vision, and voted unanimously to call him as our new minister. I think that the work that I have done to help found this congregation is as important as anything else I have done with my life. It has led directly to my deciding to change my career and enter the seminary to become a minister, myself. Sometimes during worship services, I close my eyes and remember when we had just 10 people attending and were struggling to keep our effort going. And then I hear the sounds of many voices singing a beautiful hymn and I’ll realize that it all has come true, and tears come to my eyes. For me, these are special moments.